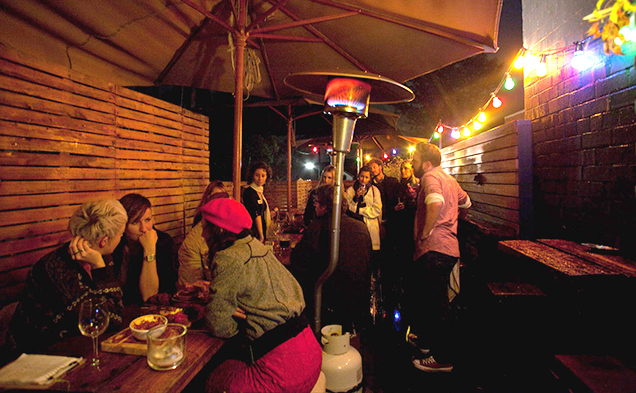 We're all for a late night hootenanny, but sometimes there's nothing better than bending the elbow with the sun on your back and a cool drink to keep things chill. And we're not alone. 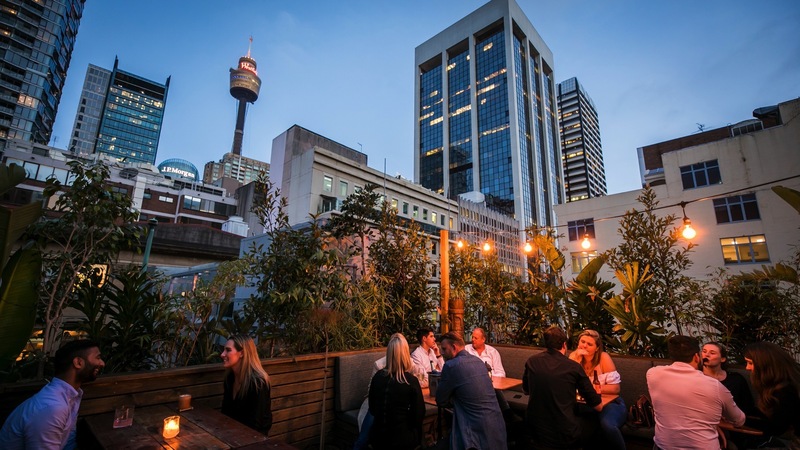 Sydney's rooftop bars account for some of the most popular, and hard won, seats in the city, so get in quick for the glory spots with the best views. 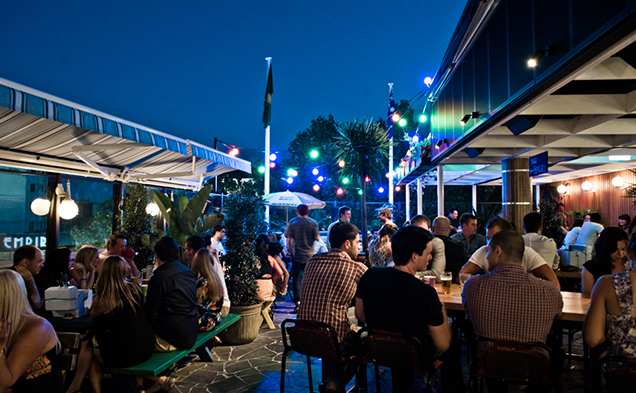 For more al fresco drinking try one of Sydney's best beer gardens, or waterfront bars. 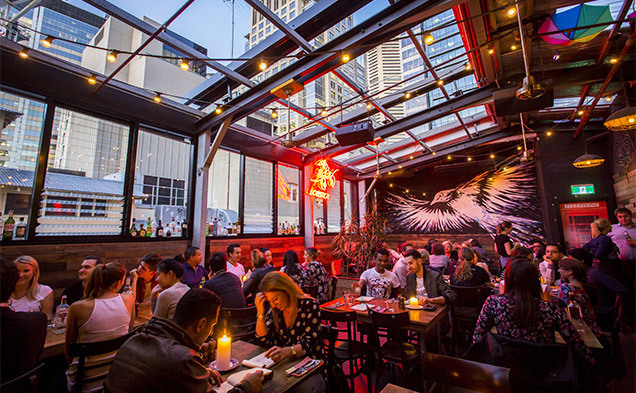 Old Mate’s Place is a chimera, combining the best of moody candle lit drinking with the surprise element of a sunny rooftop bar into the bargain. 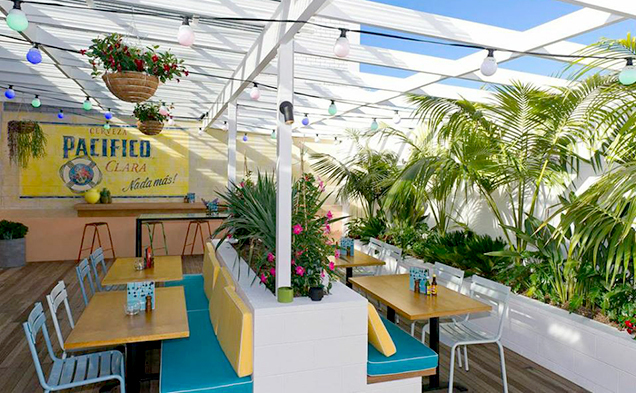 Clock off early to score a seat up amongst the potted plants and down Negronis and Jamaican beers in the late-evening light. 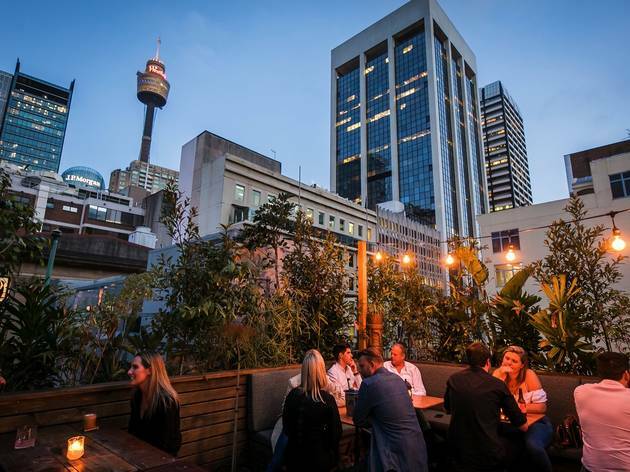 We don’t need to tell you how much Sydney loves a rooftop bar, and the top floor addition to the East Village Hotel (previously the Darlo Village) is an A-grade, lofty drinking perch. Sure, if cardio isn’t your friend you may even find you have to take a breather at the second floor, but that’s not going to be a problem because that’s where they added the Athletic Club, a vintage sports-themed bar that has a very toffy, “I went to Eton during the Downton Abbey years” vibe about it. 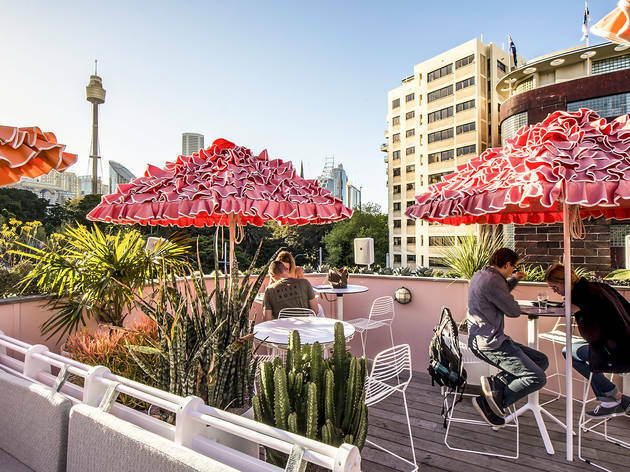 It’s only once you’re sitting on the beautiful deck of this third-floor cocktail lounge that you realise that it was the missing piece of Sydney’s bar puzzle all along. 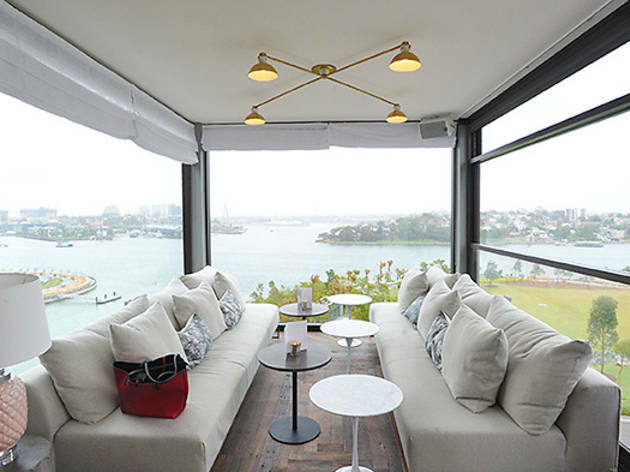 The Solotel group went and made Opera Bar a suave sister in the form of Smoke – the crowning glory of Barangaroo House. Up here, things are strictly professional. 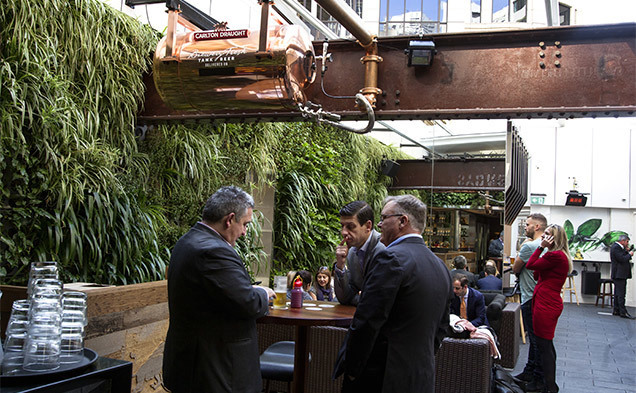 You are greeted at the entranceway, shown to a seat, started a tab and possibly given a time limit until the next booking arrives (they do not follow the finders keepers rules here). 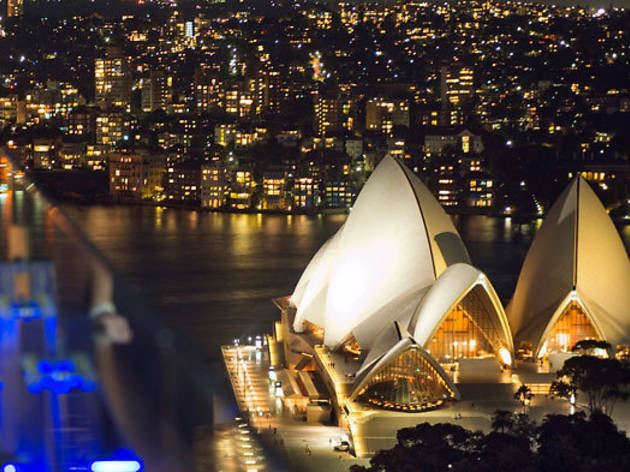 Like Narcissus staring adoringly at his own reflection, Sydney’s a city enamoured with its own good looks, hence our obsession with rooftop bars. 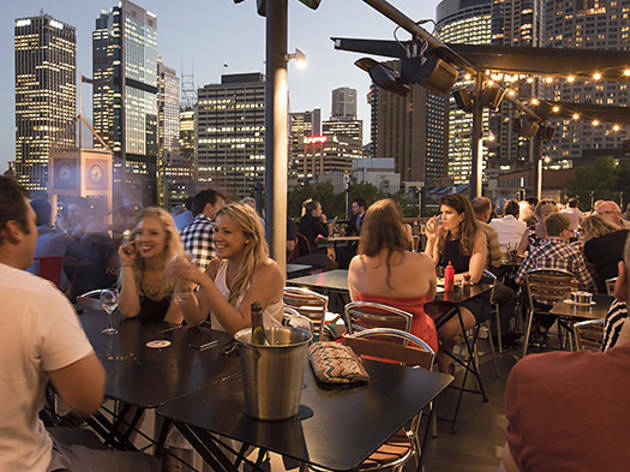 Happily there’s a rooftop in town where you can do just that. 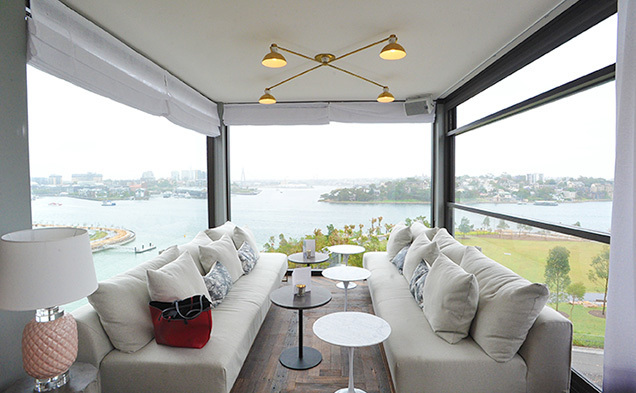 The open-air, top floor bar is definitely the jewel in the Light Brigade’s rejuvenated crown. 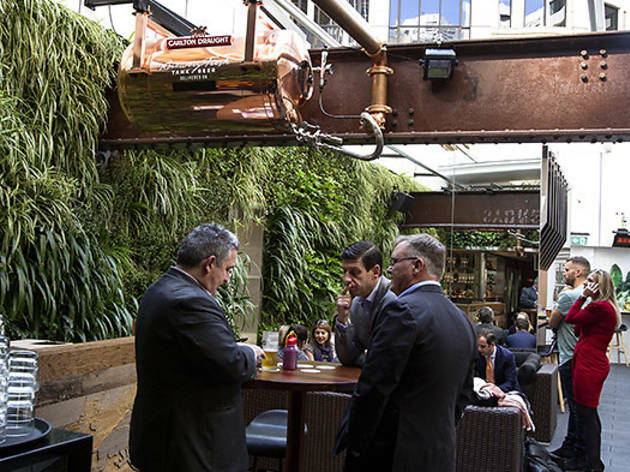 The old pub underwent extensive changes since the Bayfield family took ownership a few years back, and adding the top floor bar was a power move that makes the most of the pub’s prime Oxford Street location, with views stretching from Paddington clear across to the Coathanger. 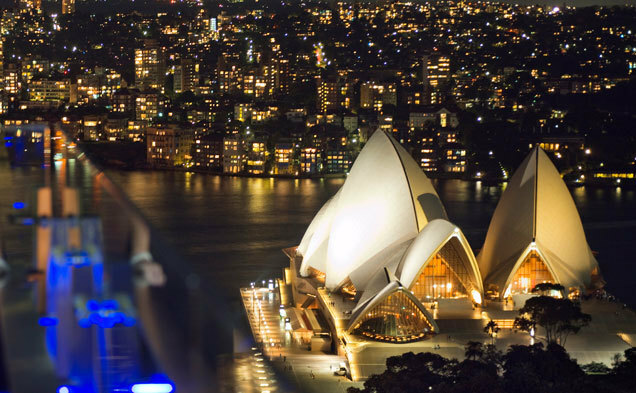 There are few views in Sydney that can rival the majesty of the harbour panorama from rooftop of the Glenmore Hotel down in the Rocks. 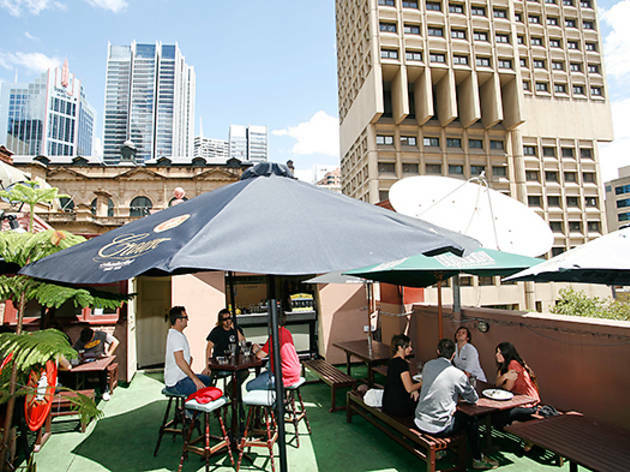 It's always a good bet for when you have visitors from out of town and weekends get crowded, but we're just as keen on heading here on a Monday for a $12 steak and a quiet drink with mates. 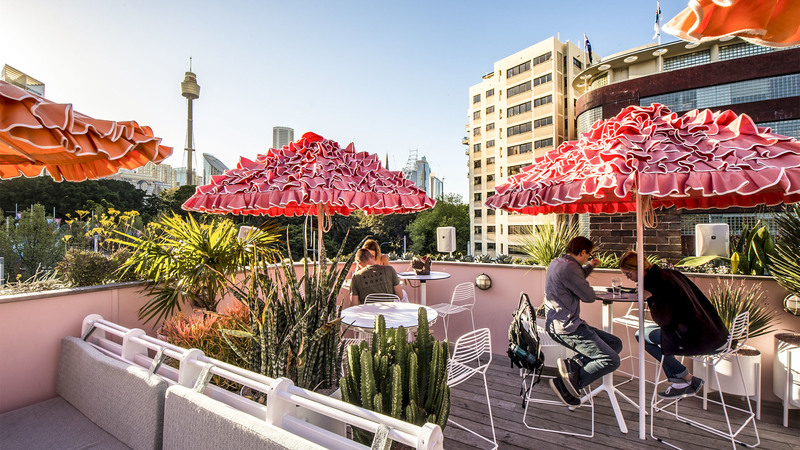 Up on top of the newly renovated Hotel Palisade is a new bar called Henry Deane, which is taking your after work drinks in the Rocks to great new heights, and we're guessing will be a hotly contested space for the New Year's fireworks displays. 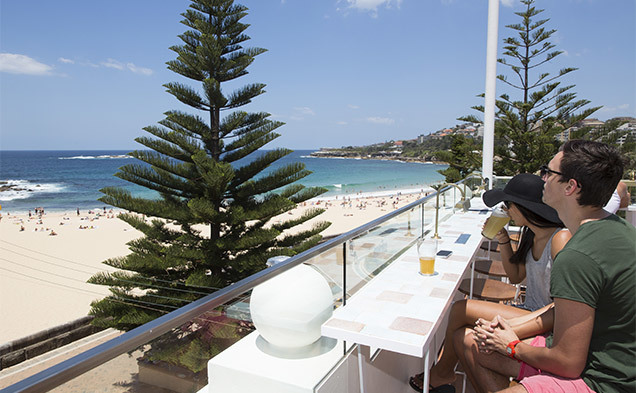 The Coogee Pavilion and its spectacular rooftop are making a serious play for our number one summertime haunt. 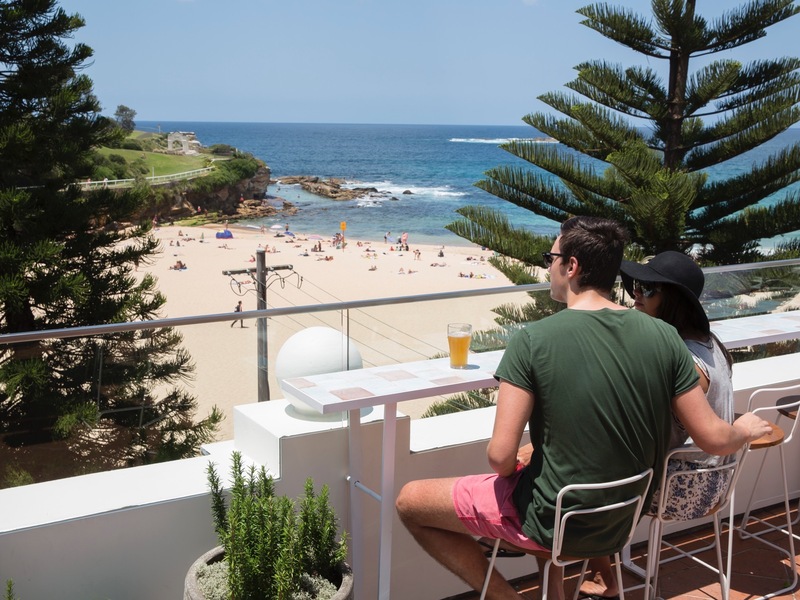 Go here for cold-pressed juice highballs, tasty meats cooked over coals and the uninterrupted glory of the Sydney coastline. 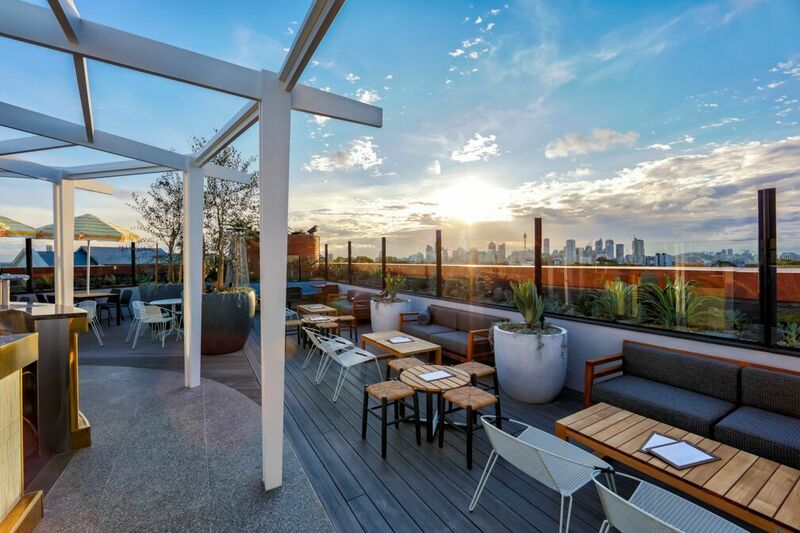 Getting to the roof of this bar is like an Olympic event, but it's worth it when you get there. 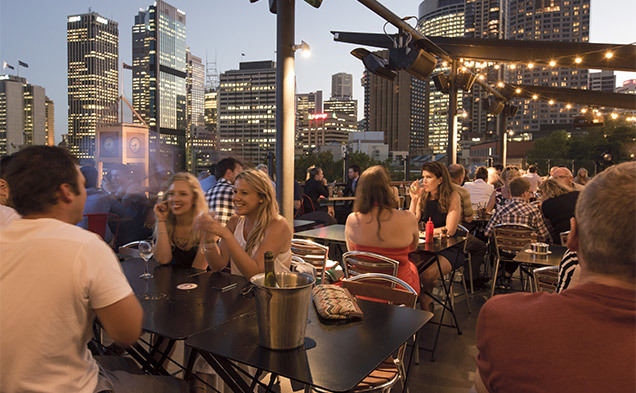 Make your way to the top of this tower and be rewarded with tooth-freezingly cold Peronis and great views over the big city canopy. 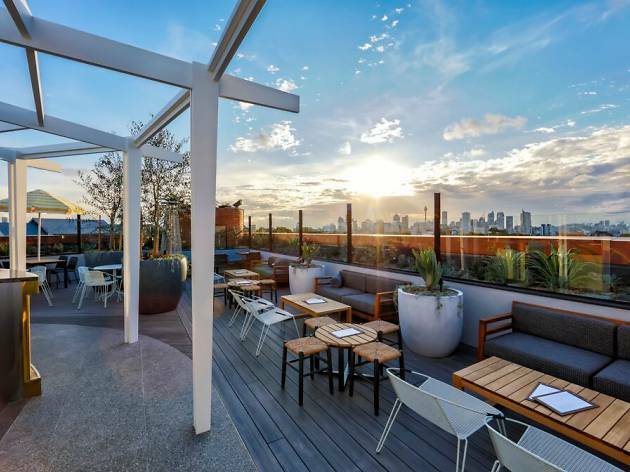 Slim’s Rooftop is named after American socialite photographer Slim Aarons, though it could equally refer to the narrow stairs leading to rooftop — there’s a good amount of side-sashaying and waiting-on-the-landing as staff and patrons patiently wait to climb up or down the stairs. But don’t despair, because it’s a stairway to heaven. 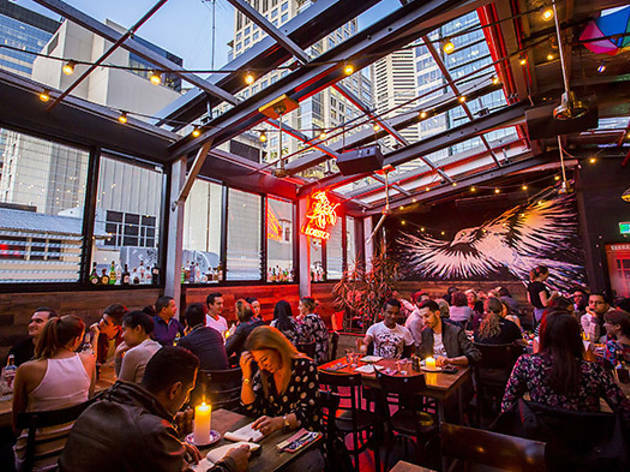 Slim’s is an open-air oasis with succulent plants and low walls, allowing for stunning views of the art-deco buildings on William Street and the glittery skyscrapers of the not-too-distant CBD. Craft beers are all the rage in Sydney right now and there’s no better place to try a bunch of weird stuff all in one go than the Local Taphouse. 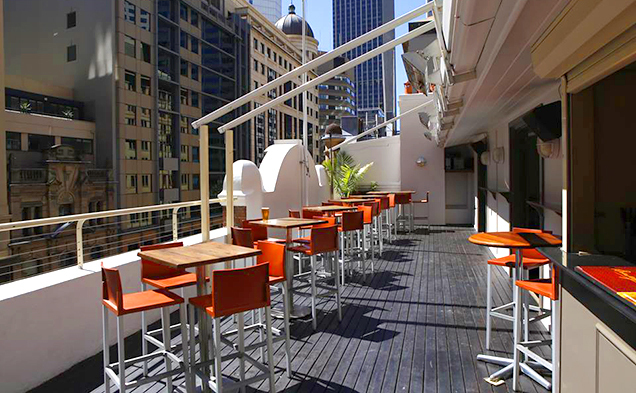 Head upstairs to the rooftop bar, sit back in the warm sunshine, order a tasting paddle and really make a day of it. 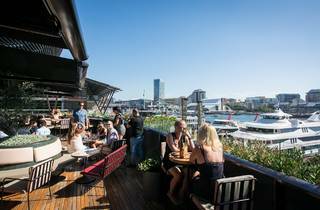 We’re of the opinion that any high-rise in Sydney that could have a cracking cocktail bar on its roof and doesn’t is a tragic waste of lofty boozing opportunities. 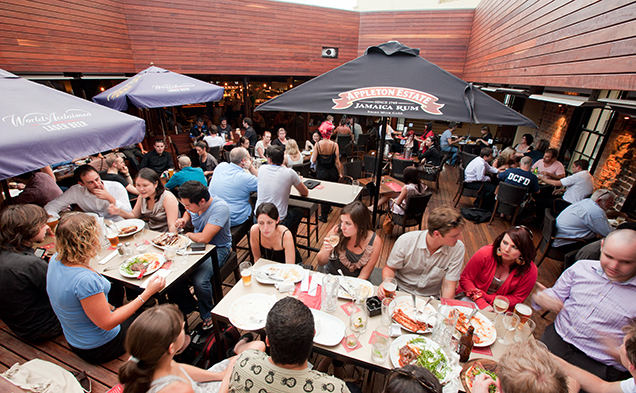 And one that does lobster and burgers is definitely making it onto the Christmas card list. There’s just something so much better about drinking at altitude and dinner on high. First things first: book. Do not try to just walk up to this place as you will in all likelihood be denied entry by the door girl because the place is at capacity. To be fair, she’s downstairs and does ensure you don’t drag yourself up seven flights of stairs only to be greeted with a packed-out balcony. So that’s a plus. 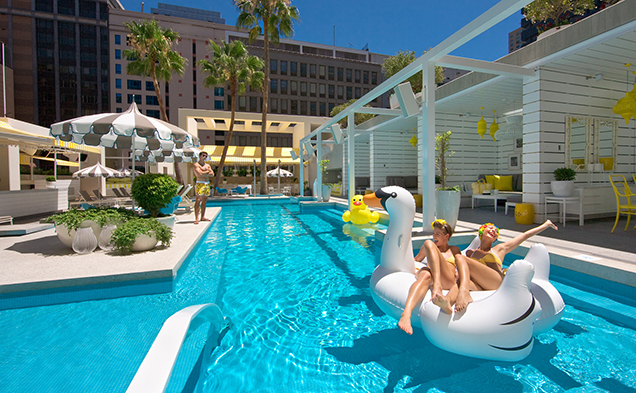 Everyone has an opinion about the Pool Club. 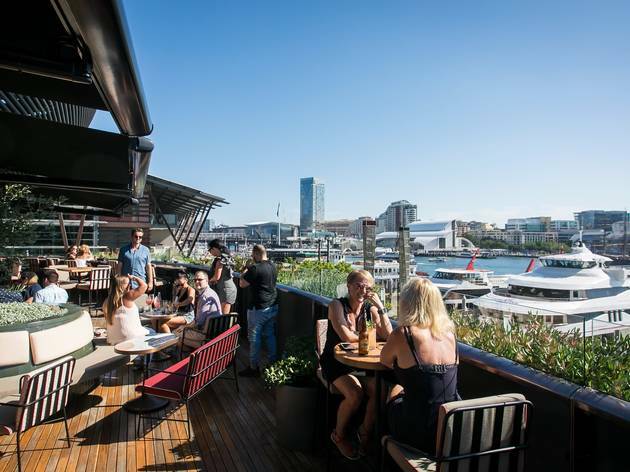 But when you get down to it, the fact that you can get your gills wet up high in the heart of the city, cold drink in hand, is undeniably awesome. And there's usually a hot bod or two to gawp at. 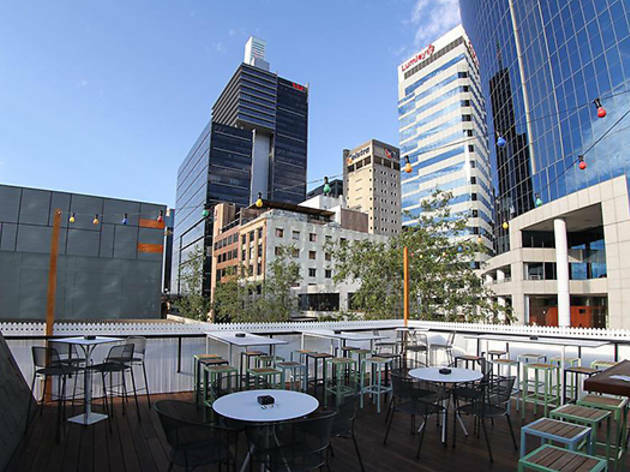 There’s something about being elevated and exposed to the elements that enhances a night on the tiles, so it's good news all round that the Republic Hotel has opened a rooftop bar called Taylors.If you head here around knock-off the place is packed with people who know what good tailoring looks like. 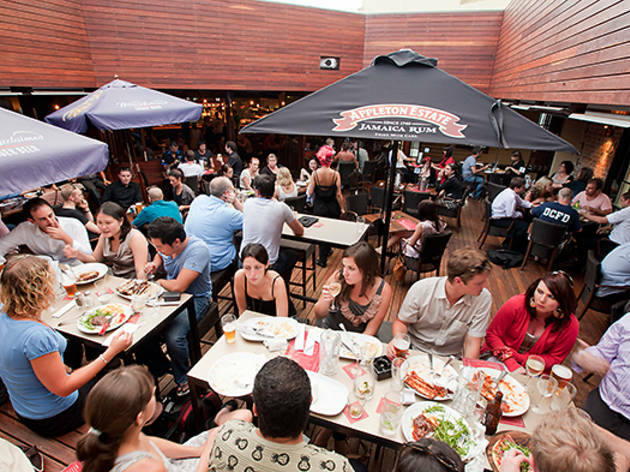 This is the place to order up chilled glass tankards of Asahi, frosty Peronis or a crisp rose. 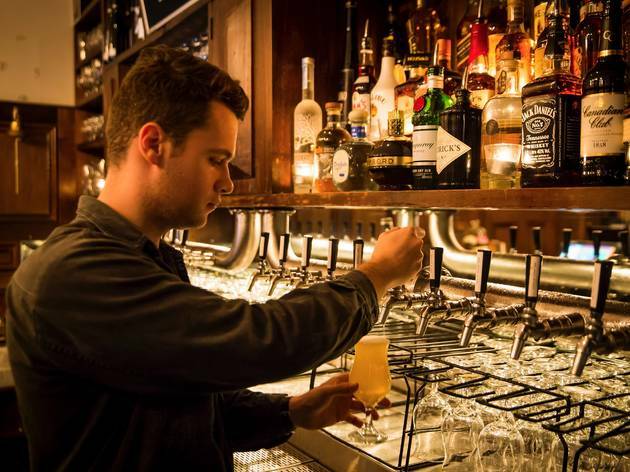 You'll get an exceptional cocktail here – the crew behind the bar make all their own syrups. 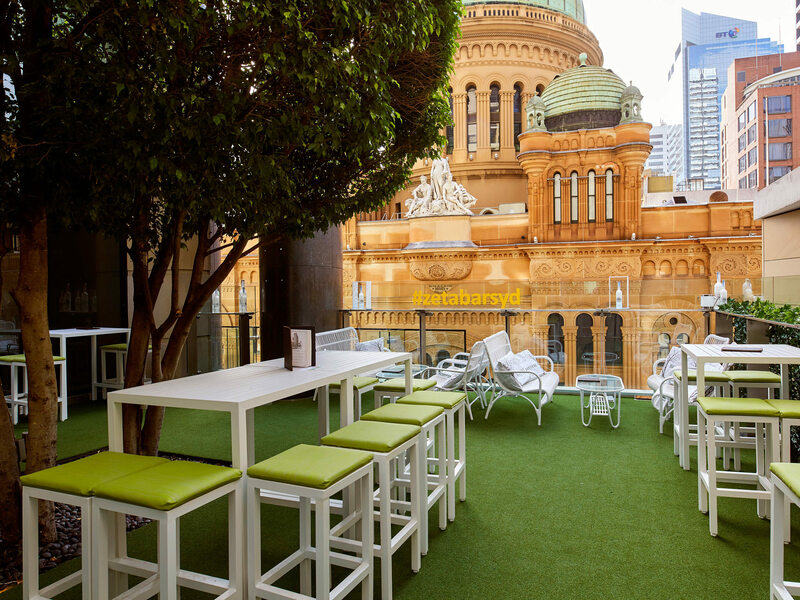 The list can get a bit la-di-da with all kinds of vanilla- infused hooey, but stand out on their deck overlooking the QVB with a Moscow Mule and be happy. 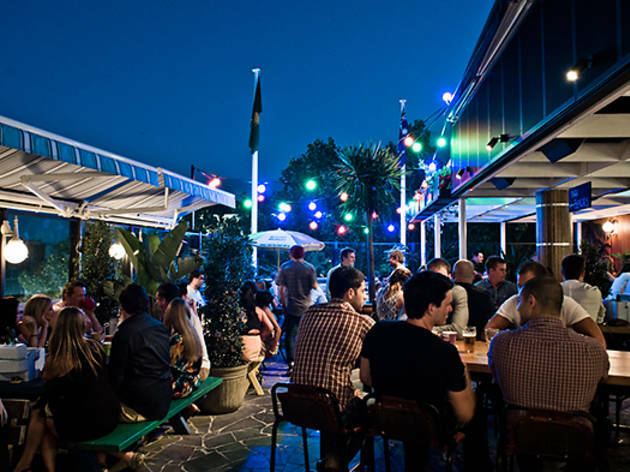 A friendly neighbourhood bar that is not much wider than its moniker suggests, they do long necks, local wines, a few craft beers, simple cocktails and a few snacks. 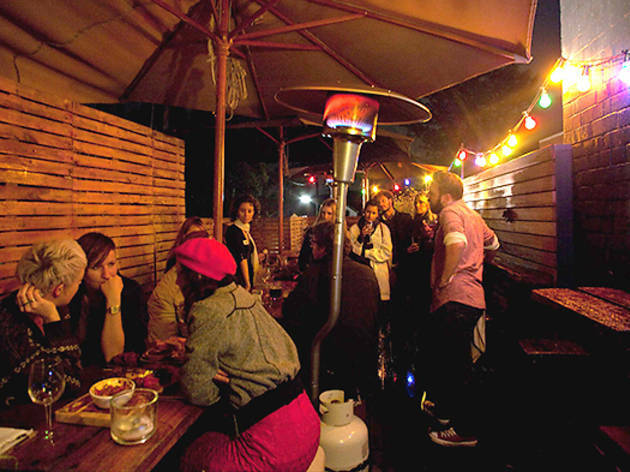 Prized real estate is the open rooftop overlooking Newtown's backstreets. 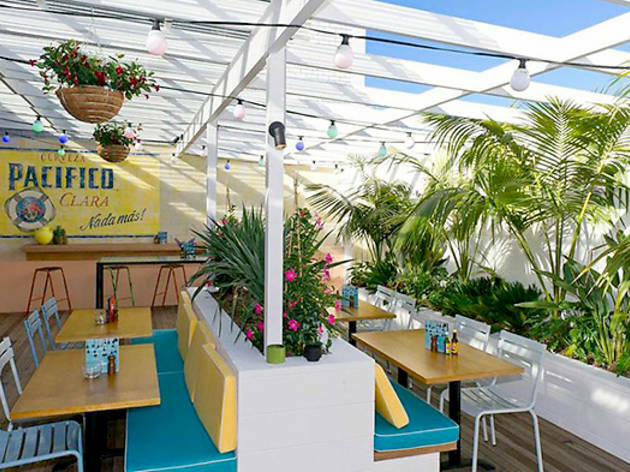 The people behind Bondi Hardware and The Botanist have opened a Southern Californian-style restaurant and bar with a sunny rooftop for the consumption of quesadillas, ceviche, hot dogs and tacos. 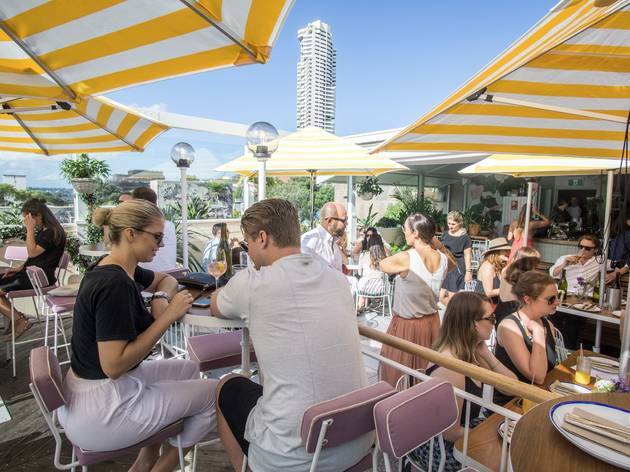 If you ever want to feel like a celebrity for an evening, the rooftop bar at the InterContinental Hotel is the place to do it. 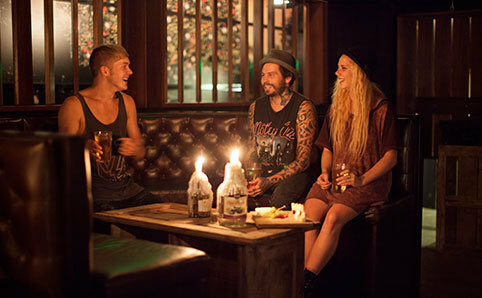 What was originally reserved as a club bar for guests has been opened up to the public after 9pm, Wednesdays through Saturdays, but you will need to book. 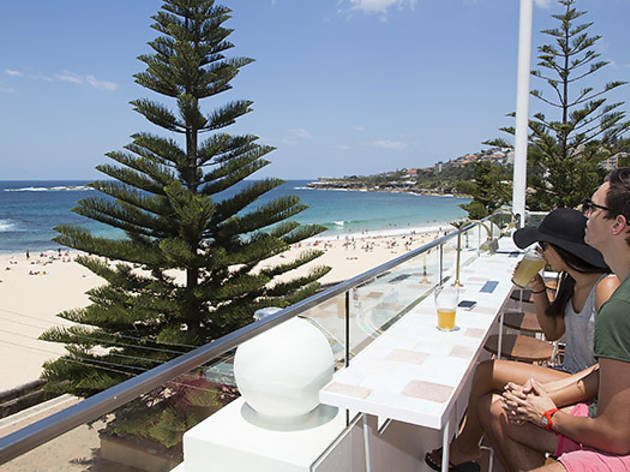 By far our favourite part of the Steyne is the pirate-themed rum and cider bar up on the top floor, with spectacular views out over the breakers from the balcony and a stage at one end for live bands. 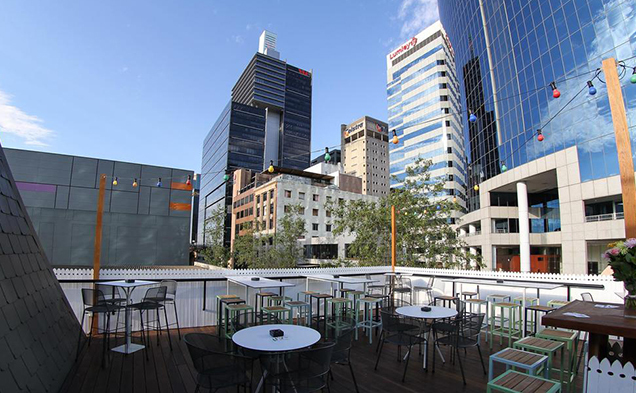 Unless you are desperately afraid of heights, we recommend heading for the fifth floor at this newly refurbed city pub. 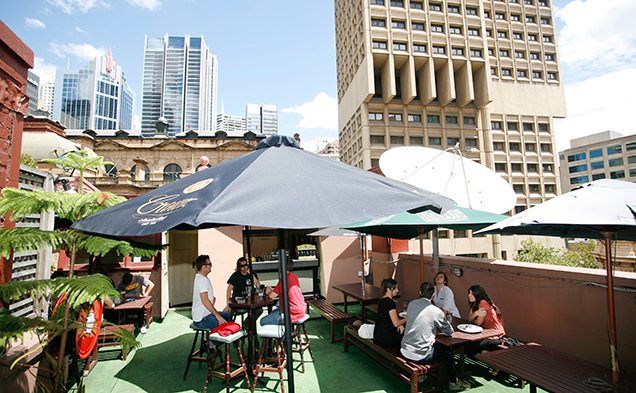 The rooftop is the crowning glory. You’ll feel like the king of the castle under the ropes of pearl bulbs with a wagyu minute steak sandwich in one hand, a Peroni in the other and a little Florence Welch on the stereo. 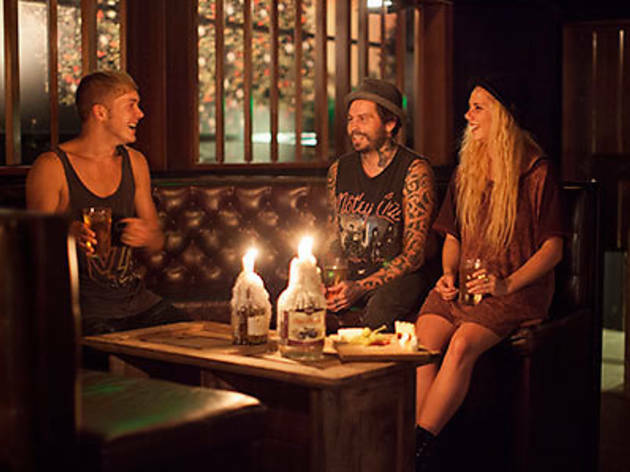 Once a wizened watering hole for elderly gents and gig-goers spilling over from the nearby Gaelic Club, the Strawberry Hills has been rebirthed as a hipster hideaway following a snazzy refurbishment and a late-night license that’s as rare as hen’s teeth. 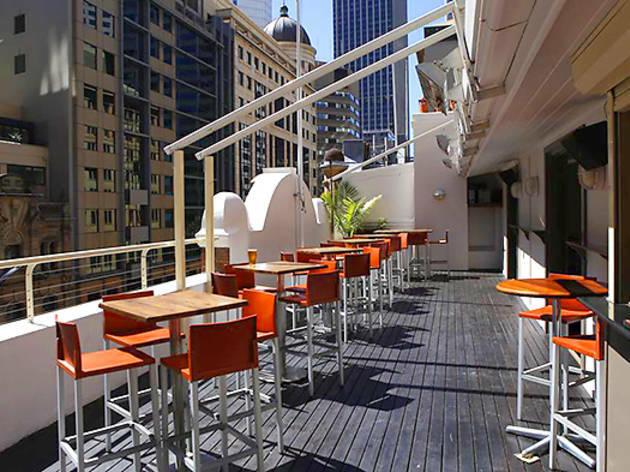 All the action is to be found upstairs out on the rooftop terrace that is open to the night sky. 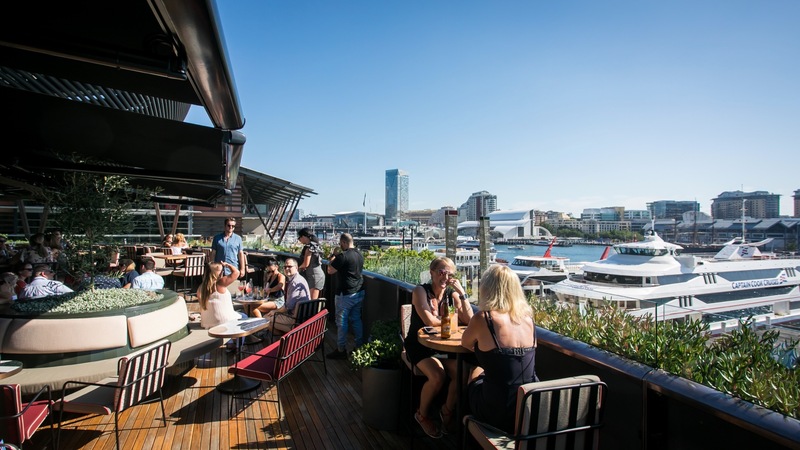 The Metropolitan Hotel has reopened after extensive renovations, which means you can once again enjoy your pulled lamb sliders, fancy fish and chips and sausages and mash on the rooftop terrace that overlooks George and Bridge Streets. Because if you've got a cold drink in your hand and the sea breeze in your hair then it's a good day to be you.